Lenovo Ideapad 110 Intel Celeron Price in Pakistan. Lenovo has always been one of those distinguished brands that always puts the customers first. It does not only care for the demands of its customers but also offers those demanded products in such a way that they are always excellent in performance yet easy on the pockets. The product on sale, Lenovo IdeaPad 110, is indeed a living embodiment of this spectacle. 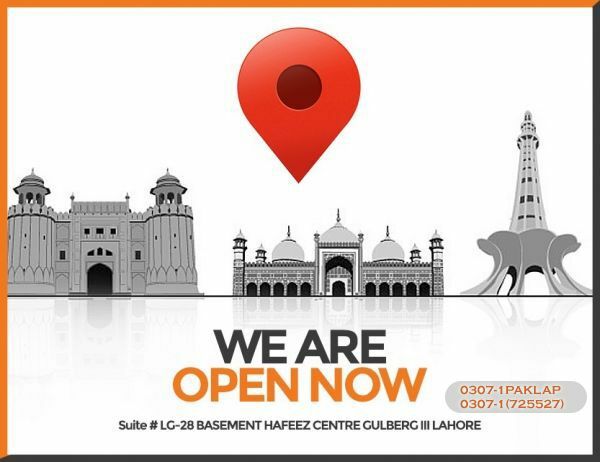 Paklap’s main aim is to provide the latest tech in Pakistan with the lowest price possible. And you all can witness that if you check out this Lenovo Ideapad 110 laptop. Paklap offers the best collection of the most affordable laptops in Pakistan. Lenovo Ideapad 110 is one of the best laptops in our affordable laptops range. It features all the specs which a high-end laptop has. You can easily run all the things you could wish for, on this laptop. Lenovo Ideapad 110 features Intel Celeron processor which runs at a speed of 2.16 GHz. Its processor has a turbo boosting technology which can further boost up its processor to 2.48 GHz when required. To support the processor’s speed, this Ideapad 110 has 4GB DDR3L RAM. Lenovo is the sister company of the biggest computer/laptop manufacturer which is IBM. So they very well know what the customers require for! Lenovo has made this laptop with a great stylish black design. Lenovo’s logo is embossed on its screen lid with silver color. Its design is sleek, making it one portable laptop you can carry it anywhere you want. Many users nowadays have excessive data, for which they need big storage drives. This Lenovo Ideapad 110 features 500GB Spacious SATA storage drive in which you can easily store all your data and you don’t have to worry about running out of space. Lenovo 110 laptop has all the connectivity options like two 2.0 USB ports and one 3.0 USB port, making it convenient for you to connect your laptop with external devices. It also has a combo audio jack so you can plug your microphones/headphones. Almost all the sleek laptops don't have an optical drive these days but you do not have to worry for that as Lenovo Ideapad 110 features Super Multi DVD Burner. You do not have to waste your money on buying one external optical drive. It has the latest version of Wi-Fi connectivity which is of 802.11 version. It also has the latest version of 4.0 Bluetooth. These two features are best for networking. 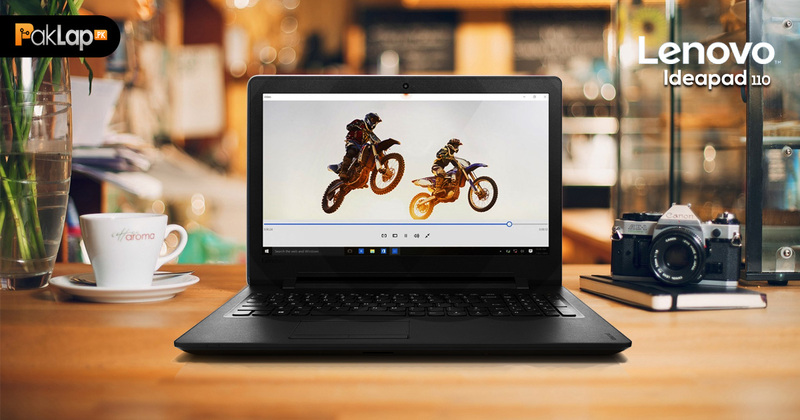 To wrap it up, we can say that if you’re looking for a laptop which is good in performance and low in budget, then Lenovo IdeaPad 110 is what you’re finding! Good news is that Paklap.pk has this laptop in-stock. And we’re offering the lowest price of Lenovo Ideapad 110 in Pakistan with an option to pay your amount at the time of delivery. So what are you waiting for? Just click on the Buy Now button to place your order now. You can also call us to place yours manually at 03000-369890. WDH : 14.88" x 10.43" x 0.89"